By opting in, you agree to receive my newsletter and ongoing resources. Unsubscribe at any time. 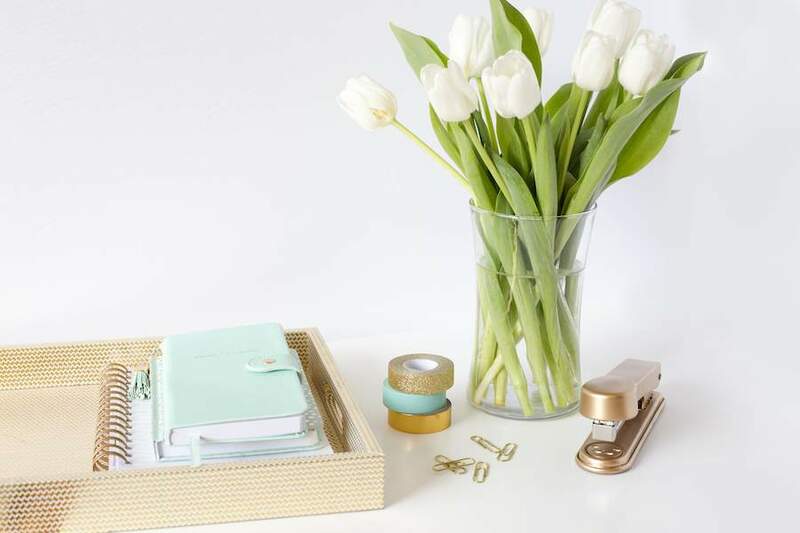 Just to recap for those who might have just discovered the Organize and Refine Your Home Challenge…so far this month we’ve put our system in place for organizing tax documents, revamped our reference file system, and decluttered our home office space. This week will be the most fun of all as we walk through all of the necessary steps to organize & maintain your home office space. This post contains affiliate links for your shopping convenience (which means if you make a purchase after clicking a link I will earn a small commission, which helps keep my blog up and running but it won’t cost you a penny more)! Click here to read my full disclosure policy. 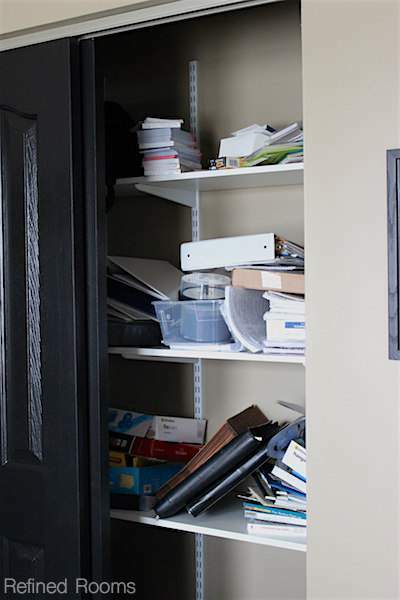 Before you return your KEEP items to the home office, now’s a great time to really take a good look at the room from a space planning perspective (you actually did this during the Evaluate step in last week’s decluttering assignment). Is there any way you can modify the space to max out your storage potential? Is it time to add bookshelves or cubbies? Could you increase your filing space by using a rolling file cart under your desk area? 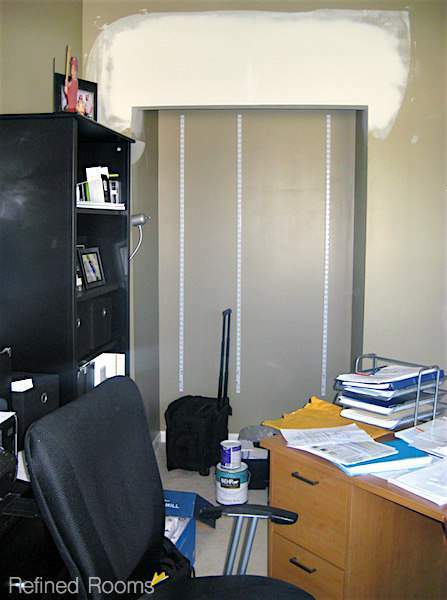 Could you take full advantage of an upper wall by adding a bulletin board, or better utilize a closet with the addition of adjustable shelves? 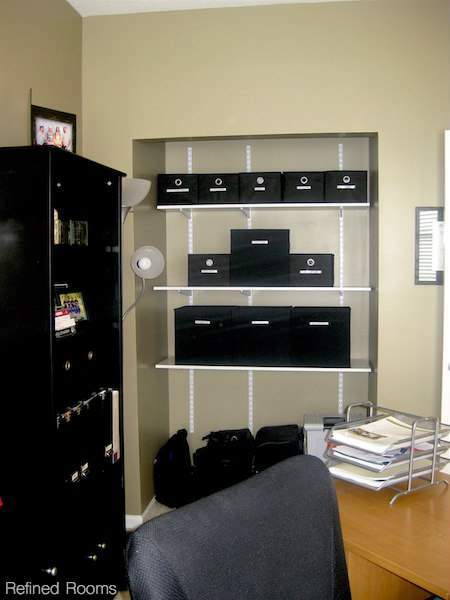 My husband’s home office had an alcove one one wall that we used to store office supplies using a variety of storage containers. When we overhauled this space a few years back, we decided to add adjustable shelving, and lower the alcove ceiling so that we could transform it into a closet. 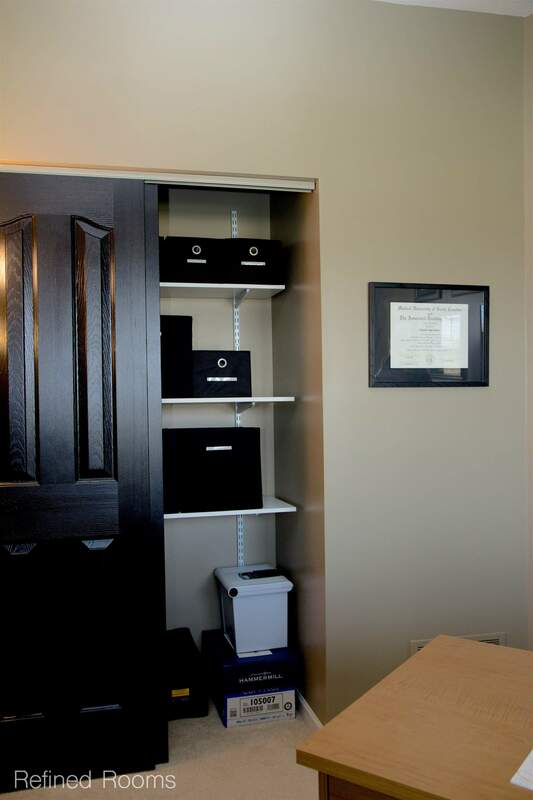 There are so many awesome storage tools and containers that you can use to organize your like categories of items together and create various storage zones within your home office area. Use drawer dividers/organizers in your desk drawers to keep pens, note pads, and binder clips organized. Clear plastic shoeboxes, photo boxes, and storage cubes are great for corralling office supplies by category. 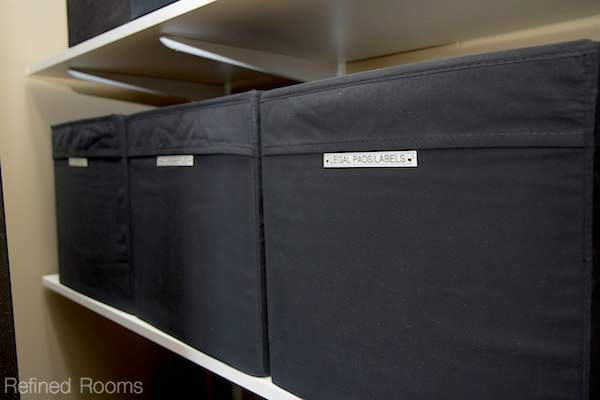 Once you’ve got all of your items containerized, I highly recommend labeling those containers! Not only does it bring a polished look to your space, it increases the probability that everyone who uses that space will return things to their proper home. When it comes to labeling, there are so so many options to choose from! I cover labeling options in this post. Determine how frequently you need to complete these tasks. Whereas processing the mail should be a daily/weekly task, tasks such as purging your reference files can be tackled on a less-frequent basis (yearly). In the coming months, work on creating these new maintenance habits and routines by using the maintenance tips describe here. 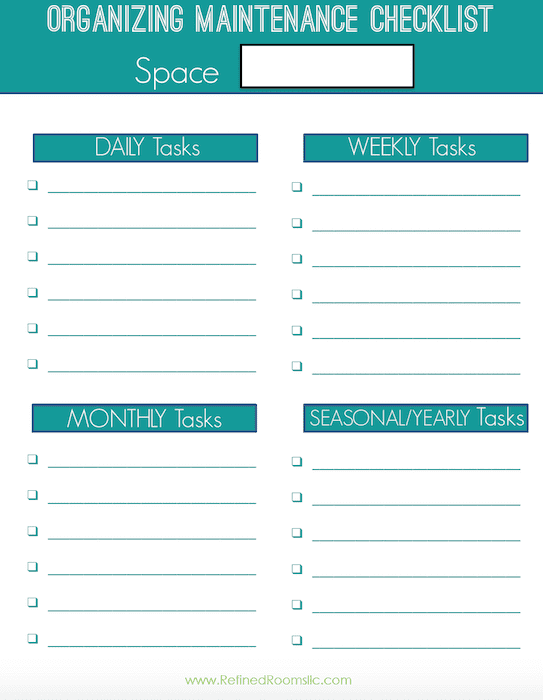 It’s really helpful to schedule those less frequent monthly and yearly maintenance tasks in your calendar too. After you’ve completed this week’s assignment, share a photo of your newly organized home office space on Instagram (use the hashtag #OrganizeandRefineChallenge and don’t forget to tag me). Can’t wait to see it! Join the Organize & Refine Your Home Challenge! You're IN! Look for your Organize & Refined Your Home assignment emails to arrive in your inbox at the beginning of each month! Really great practical ideas for a home office Natalie! I love using clipboards and have gotten my hubby in the habit as well! I also love using binders and photo boxes for my receipts. Thanks for sharing you great ideas! Clipboards and binders are two of my favorites as well…thanks for your comment Autumn! I love the black bins in the closet. They look great. Much better than the before picture. Thanks for sharing. Do you use a special time of label to stick to fabric boxes? Believe it or not Sabrina, it’s just regular ol’ label maker tape. Of course, I meant to eventually replace those labels with larger ones, but I never got around to it. If it ain’t broke, don’t fix it, right? 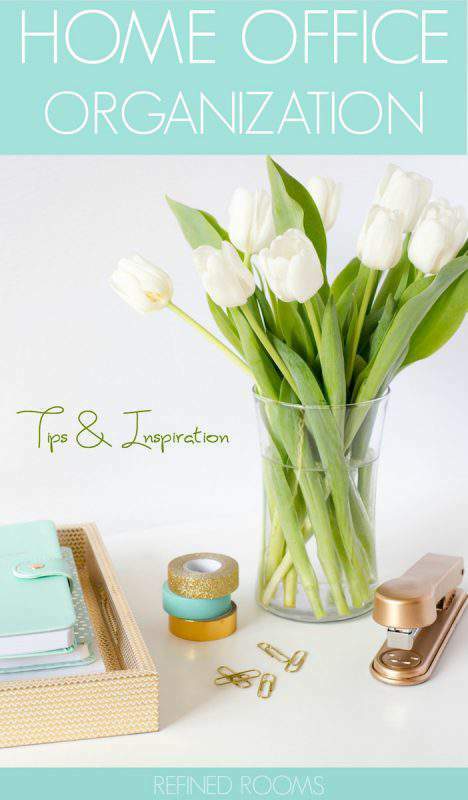 I love it when you share my tips, ideas and inspiration! Please keep in mind that all images and text on this site are the property of Refined Rooms, unless otherwise stated (regardless of whether photos are watermarked or not). Feel free to use one image, provided that a link back to my original post is included. Please do not remove any watermarks, crop, or edit any of my images without first obtaining written permission from me. All free printables are for personal use only. Pinning is always welcome and appreciated! Thank you!